Have you been considering relocating to Myrtle Beach? Do you want to enjoy plenty of sunny days, the beautiful beach, and coastal living? 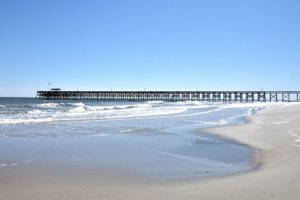 If you've never lived by the coast, there are plenty of things to consider before relocating to Myrtle Beach. Here are some of the pros and cons of coastal living in Myrtle Beach to consider first. Myrtle Beach offers several great benefits for those looking to live on or near the coast. With 218 days of average sunshine every year, it's a great place to call home. The national average is much lower, so you know the weather will be nice most of the time when you live in Myrtle Beach. When it comes to coastal living, most locations are expensive. California and Florida offer coastal living, but it's some of the most expensive in the country. Relocating to Myrtle Beach doesn't come with such a high cost of living. Homes and condos are currently at very reasonable prices and the overall cost of living is lower than most other coastal areas across the country. Another pro to coastal living in Myrtle Beach is the health and health services. Living near the ocean has proven to be good for your health and Myrtle Beach is full of active communities and things to do. In addition, you'll find plenty of great health services here including urgent care, cardiac surgery, pediatric care, general surgery, and rehabilitation services. Myrtle Beach and the surrounding area offer the Loris Healthcare System, Grand Strand Regional Medical Center, and the Georgetown Hospital System. All three offer plenty of services and facilities no matter your needs. A huge plus for anybody looking to stay active after moving to Myrtle Beach is the huge variety of things to do. From jet skiing to parasailing to kayaking to boat tours, you'll find plenty to do on the water. Even if you don't want to spend all your time on the water, Myrtle Beach has plenty of other things to offer, such as golf, tennis, and other outdoor recreation opportunities. While there really aren't many true cons to living in Myrtle Beach, there are a few things that can be a bit annoying. One of the things you should be aware of if you're thinking of relocating to Myrtle Beach is the pollen. If you struggle with allergies, be prepared before you move to the coast as the pollen will be heavy during pollen season. The only other true con of coastal living in Myrtle Beach is the vacation traffic. When you live here year-round, you'll find that there's a busy season and a slow season. When vacation traffic comes in, traveling on the major highways can be brutal. Of course, there are ways around the traffic, such as going to work earlier or taking an alternative route. Locals have figured it out so this con can be navigated with a little help. If you're considering relocating to Myrtle Beach, you'll likely be enjoying affordable coastal living you will fall in love with. With so many great perks of living within the area, all you really need now is the right house and a move-in date.